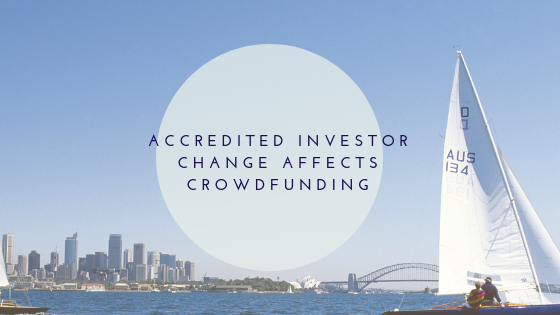 Accredited investors are a vital part of the fundraising world. The status of being an accredited investor is both coveted and difficult to achieve. The definition of accredited investor is found in Rule 501 of Regulation D. It’s pretty complicated, but Investopedia has the following simpler general definition: "a person or entity that can deal with securities not registered with financial authorities by satisfying one of the requirements regarding income, net worth, asset size, governance status or professional experience." This title means that the investor can avoid companies that need costly SEC filings and invest in unregistered securities. Anyone running a company, raising significant capital, or investing should be familiar with what makes someone an accredited investor. According to Rule 501, certain high ranking company officials are accredited investors by default. Many use Rule 506(b) to fundraise with few difficulties. Companies and individuals should understand what the definition of an accredited investor is, how that might be changing, and how the law can impact your company's ability to fundraise or sell securities to investors without taking on additional liability. There are currently two bills in the Senate and the House of Representatives that seek to change the definition of an accredited investor. House Bill 1585: Fair Investment Opportunities for Professional Experts and Senate Bill 2756 by the same name, both of which seek to expand the definition of an accredited investor. These bills seek to amend the Securities Act of 1933. In fact, the House Bill has already passed with bipartisan support. A person will be considered an accredited investor if their individual net worth (including their spouse but excluding their primary residence) is more than $1 million. A person will be able to be considered as an accredited investor if their income exceeds $200,000/year, or with their spouse they exceed $300,000. A person with a valid and current securities-related license will be considered an accredited investor. The SEC can determine anyone with qualifying education or personal experience in investments in a particular field may be considered an accredited investor. FINRA or another accredited self-regulatory agency must verify education and job experience for this to be acceptable. The aim is to ensure only those qualified to make risky investments have the ability to do so, while keeping those who lack the sophistication to make informed decisions from participating. It is expected that this bill will also pass quickly through the Senate. As a business owner or investor, this definition change may change the way you do business. Federal law requires that anyone raising funds through private means verify that their investors qualify as "accredited investors". Simply asking an investor if they are accredited is not enough to satisfy the federal requirements; failure to properly verify accredited investors can result in serious complications. It is in your best interest as fundraiser to ensure that you've done your due diligence and ensured that your investors are accredited. The best way to make sure you have satisfied federal requirements is to verify your investors through a third party accredited investor verification service provider. Investors want to keep their information confidential, so these records are not public knowledge. Using a third party verification firm like VerifyInvestor.com allows you to rest easy knowing that you have met your legal obligations without compromising the private information of those you wish to enter a business arrangement with.